IT systems management and monitoring are not just complicated. It also requires you to spend a huge amount of your company resources. But when you outsource managed IT serves from an MSP, you can let go these extra costs. Managing your IT infrastructure requires enterprise-grade tools. Needless to say, these are expensive. But through the services of an MSP, you get easy access to these tools. Aside from this, your provider will also provide you with experienced IT specialists. This eliminates the need of hiring your own in-house IT team. MSPs offer their services for a reasonable fee that you need to pay on a regular basis. The great thing about this is that you can customize the services that you will get. This allows you to control your IT costs and ensure that you pay only for the services you will need. The services of an MSP remain available 24 hours a day. This gives you the assurance that IT management experts are always monitoring your IT systems. With 24/7 IT support, you will have a reliable IT team that you can always reach out to. You can guarantee that your provider can give expert pieces of advice with regards your IT concerns. Also, with continuous service availability, your provider ensures that they can troubleshoot IT issues quickly. Network security is important. It allows you to keep all your data safe. By hiring an MSP, you can guarantee better network security. MSPs design security plans to strengthen your IT infrastructure’s endpoint protection. This allows all your IT systems to remain safe and secure. Through this, you can guarantee top-notch security for all sensible files, information, and other business-related documents. MSPs do just use basic IT systems management tools. They ensure that they utilize the best technologies available in the market. All the tools that MSPs use meet IT industry standards and government regulations. 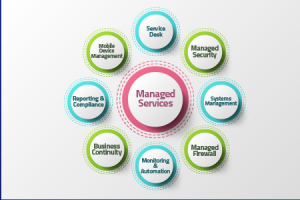 This gives them the ability to provide clients with high-grade managed IT services. Moreover, MSPs also ensure to hire the best people fit to handle enterprise-level IT infrastructures. They even provide them with regular training and seminars. These keep then equipped with the avant-garde techniques and ideas on how to keep IT infrastructures healthy. By relying to the services of an MSP, you can now put a business focus on the main competencies of your business operations. Let your provider deal with all the complex IT tasks and challenges. You can also use your costs savings to the development and growth of your business. There are a number of reliable MSPs in the New Orleans area. One firm to check out is thinkIT Solutions. It is a full-service IT management firm that offers enterprise-level technology solutions and IT support. The best MSPs are those that understand your unique business needs. thinkIT Solutions guarantees that they will analyze the ins and outs of your entire business IT network. This way, its highly skilled IT team can provide you with best-in-class technology and IT support that meet your specific needs. Top-notch remote IT support is one of the prime IT services an MSP can offer. thinkIT Solutions ensures that it can help you stay productive throughout the day. With its high-quality remote IT support, thinkIT Solutions guarantees that it can guide you make strategic IT decisions. The best MSPs are also those that have proven expertise in the IT management field. Since 2001, thinkIT Solutions has been providing clients with the highest quality of IT services possible. thinkIT Solutions is successful in finding long-term and strategic solutions for their clients. It ensures that they deliver IT services that its clients deserve. Eager to know how thinkIT Solutions will help improve your IT infrastructure? Then, call +1 (504) 455-5552!